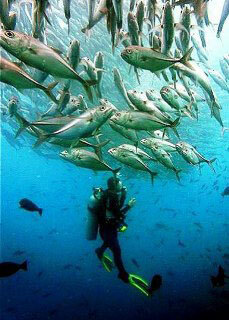 Gliding with the currents, feeling the rush of flying underwater, is what drift diving in Thailand is all about. During your PADI Drift Diver programme, you'll go on 2 open water dives (which may be conducted in 1 day). We highly recommended that you enrol in this programme on a Similan liveaboard to expose yourself to the techniques and procedures for drift diving. The elective Drift Dive from the Adventures In Diving programme may be counted towards this specialty.